JNN 10 July 2014 Manama : The Al Khalifa regime is planning to build the largest Roman catholic church in the Persian Gulf region. 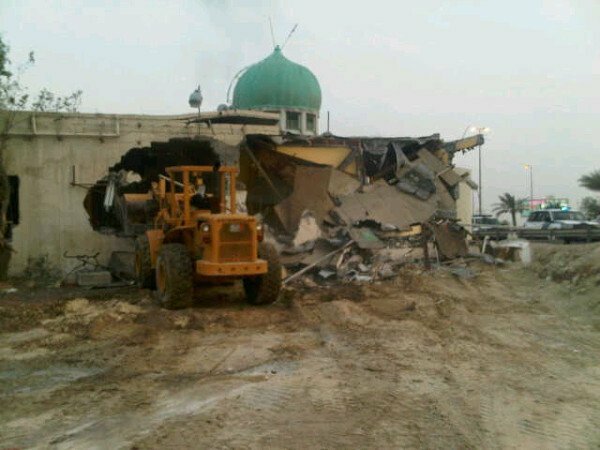 At the same time the Bahrain Govt has Demolished about 38 Mosques, in the country , under different pretexts . There are fewer than 100,000 Catholics in Bahrain, the majority of whom are expatriate workers from countries like the Philippines, Sri Lanka and India. According to Al-Lolo website, the regime is going to spend $30 million to construct A Grand church in Bahrain. Ruler of Bahrain Hamad bin Isa Al Khalifa has donated a 9000-square-meter plot of land for the church. And yet at the same time , this is the same regime that has destroyed 38 mosques in the tiny Persian Gulf country so far. Destruction of mosques and religious sites has been used as a scare tactic by the Manama regime in its attempts to suppress popular protests By the Shia Majority Population in the country. This entry was posted in Middle East and tagged Al Khalifa, Al Khalifa Regime, Bahrain, Bahrain Churches, Bahrain Govt, Bahrain Mosques, Hamad bin Isa Al Khalifa, Mosques, roman catholic church, Ruler of Bahrain, Shia Majority, Wahabi. Bookmark the permalink.